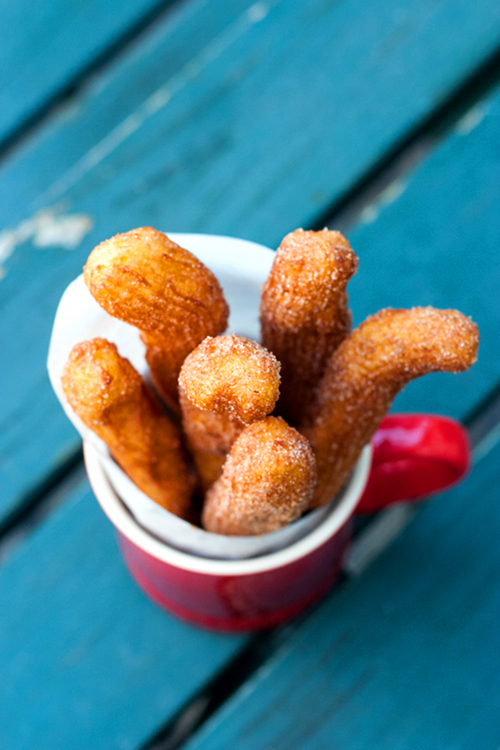 Nothing like cinnamon, sugar and fried dough! 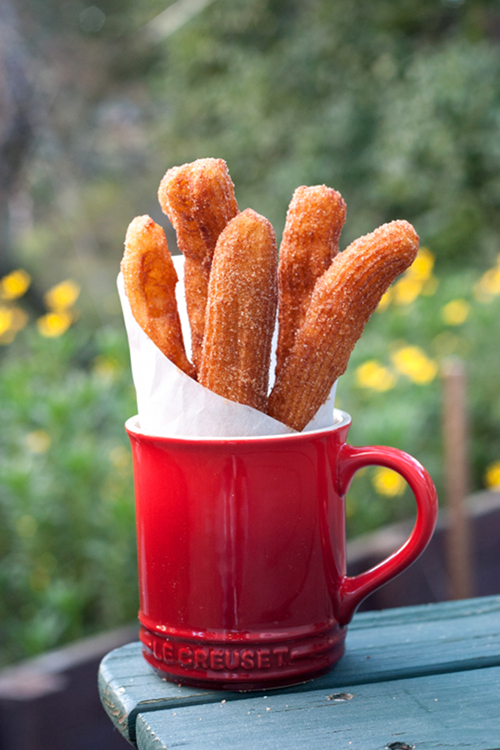 Yum, yum, yum!I used to eat these at the county fair! Do they turn out ok if you bake them instead? I have not tried it baked, but I don't see why they can't be baked. The recipe (I think) is pretty close to choux pastry, anyway. 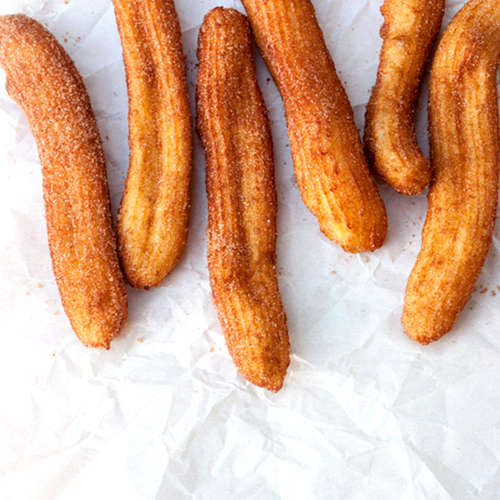 The only issue is, the cinnamon sugar might not adhere to the churros without some sort of grease covering them. Yum!! Reminds me of when I was little and we would get those as treats in amusement parks!